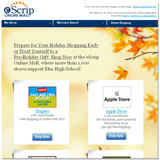 "eScrip is the true definition of a perfect fundraiser; small effort coupled with a high financial return. We have received over $23,351 from eScrip for just swiping our registered cards at participating merchants." The ESI Online Malls are the perfect way to earn up to 16% for doing what you do anyway - shopping at over 1,000 of your favorite online merchants - just visit the Online Mall first, and earn automatically! ESI has developed the WIN Card with you in mind. ESI engineers work with your POS systems to create a seamless and elegant solution to card tracking. Our Business Analysis Unit provides you with reports and insights that are designed to unearth key nuggets of actionable business intelligence - not just as data - with objective recommendations. Our expertise and recommendations set our programs apart from other purely database services. Our analysts have extensive grocery and loyalty backgrounds, thus providing you with the breadth of services required to run a truly productive loyalty program. Contact us to find out more. ESI has been deeply involved in the grocery channel for over 10 years and it continues to be our largest industry segment. We know grocery marketing with staff consisting of experienced grocery, loyalty marketing and Consumer Packaged Goods professionals. Additionally, our partnerships with retail and department stores, restaurants as well as online retailing demonstrate the breadth of our industry segment expertise. ESI engineers work with your POS systems to create a seamless and elegant solution to card tracking. We swim in a big pond; ESI already processes in excess of $2.4 Billion in customer transactions. We know timeliness, systems, data capture and transaction reporting. 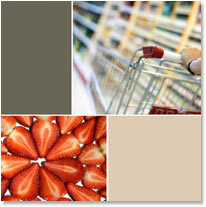 Our prestigious Marketing department has endless ideas, view our gallery.